We talked in our [last post] about what goes into the design of a great distillery—and Sketchworks has designed its fair share of local spirit-makers, including State Line Distillery, Death’s Door Distillery and Dancing Goat Distillery. Besides using a combination of unique materials, such as reclaimed barn wood, limestone, glass and metal (as in the case of State Line and Dancing Goat), the customer service experience is really what reigns supreme in the design of a distillery. 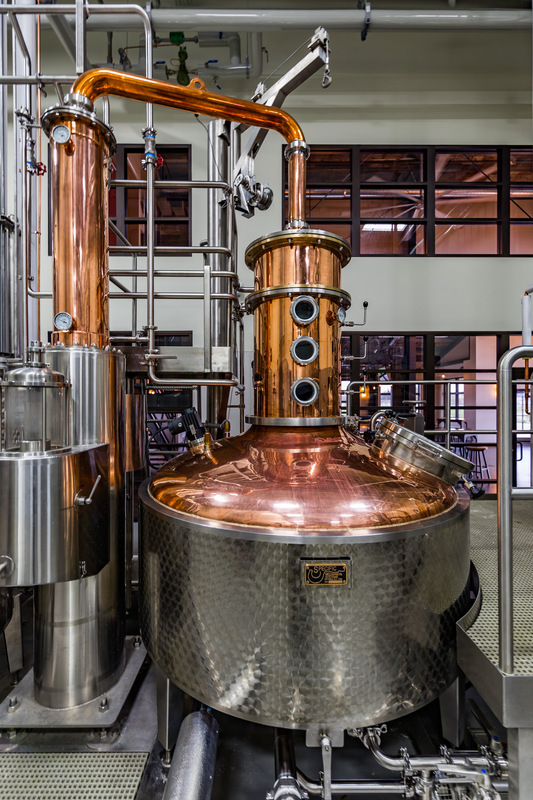 “[Today’s distilleries] are focusing on the customer experience—it needs to be a destination and educational [for visitors],” says Sketchworks Architecture partner Brad Koning. Dancing Goat Distillery’s brand-new facility (finished in 2017) spectacularly showcases the care that was put into the visitor journey. Koning also says Dancing Goat’s bar was an important focal point for the owners, as well as the large outdoor patio that guests can gather at to relax and sip a drink. Because after all, producing the spirit is important—but it’s equally crucial that people are well aware of the brand and can learn about it and taste it, too. The show-stopper—and also a draw for visitors—is Dancing Goat’s distilling equipment that’s in full view behind a glass wall, a purposeful design decision to enhance the visitor perspective. 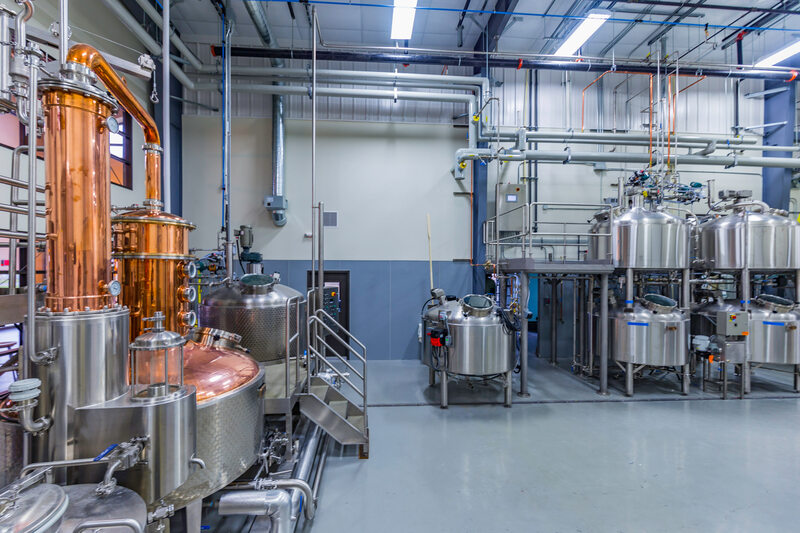 “You see the equipment right when you walk in the door, and it’s pretty impressive,” says Koning, who points out that putting the equipment within view gives a behind-the-scenes peek at the distilling process. State Line Distillery also put serious thought into the adaptive reuse of their building, which was formerly an old nickel-plating factory on the near east side of Madison. 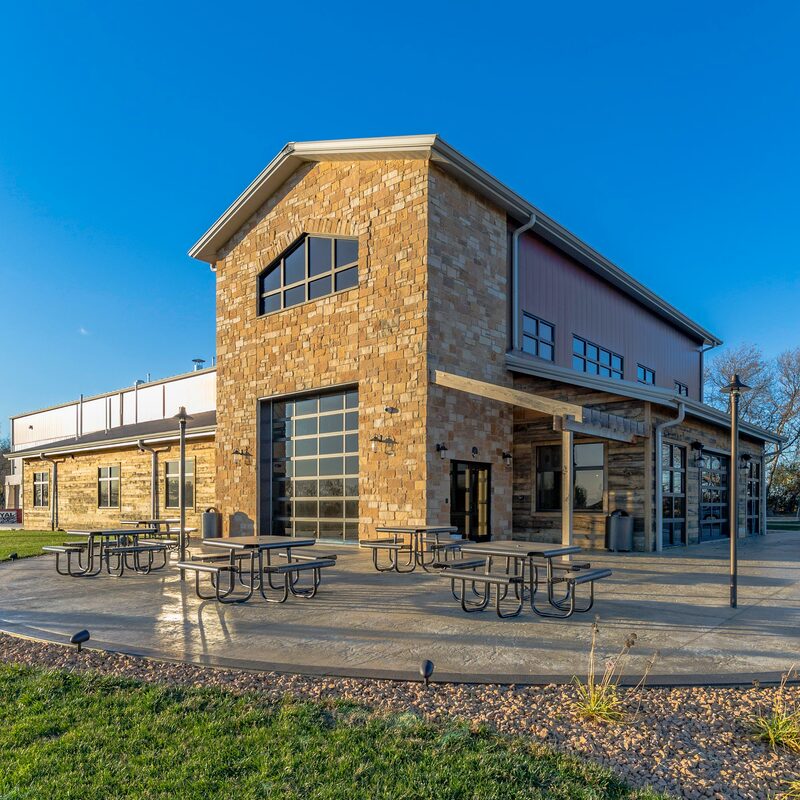 The tasting room is covered in reclaimed barn wood from an old Wisconsin barn, and metal siding from a Quonset hut was pulled into the production facility. They too have a large tasting room but also smaller private event space for guests—yet another smart decision by the owners to bring guests in. Koning affirms that when it comes to distillery design—it’s about the destination and the feeling guests get when they arrive. Showcasing great spirits for repeat purchases and word-of-mouth business is what keeps distilleries healthy and thriving. “The tour and customer [service] aspects of distilleries are of great importance now, as it’s another avenue for cash flow,” says Koning.